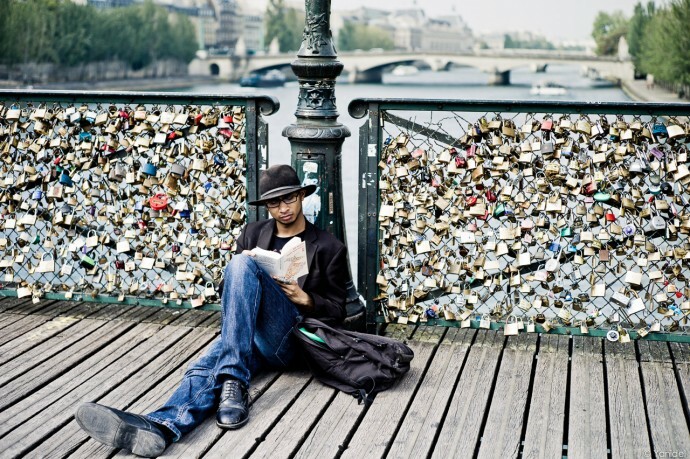 Weekly poll #6 : Which street photography book would you take on a trip ? 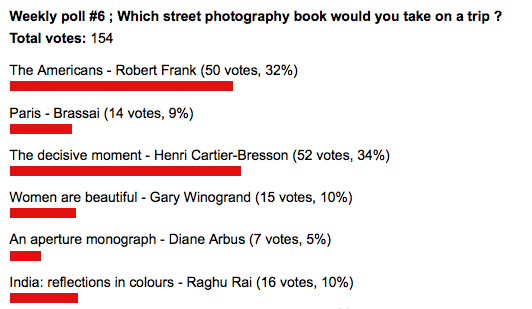 As for last week’s poll “Do you shoot street photography mainly in colors or B&W?” (206 votes), it resulted overall in a perfect 50-50 split. I think this is a great news for the multiplicity of creative approaches in street photography. yo ademas añadiria otro : Une vie sans ombre Jacques Henri Lartigue ,acabo de empezarlo y me parece muy ineresante!! what about the book on your 80 weeks trip? Is it available?